Craig H. Handler is an experienced attorney with a broad commercial practice focusing primarily on matters involving construction, real estate, insurance and technology. Mr. Handler represents a wide range of clients including individuals, municipalities and businesses varying in size from sole proprietorships to large national corporations. Some of Mr. Handler’s clients include general contractors, construction managers, subcontractors, property owners and developers, and local government agencies. Mr. Handler’s successful litigation practice involves complex commercial and civil matters in State and Federal courts at all levels, including appellate courts and at mediations and arbitrations. Mr. Handler frequently litigates construction disputes involving defective construction, delay, scope of work disputes, mechanic’s lien foreclosure and defense, OSHA violations, ECB violations, and Labor Law claims. In addition, Mr. Handler’s real estate litigation practice often involves disputes over residential and commercial sales and leases, environmental issues, boundary disputes and adverse possession claims. Mr. Handler also possesses years of experience working with the insurance industry, and frequently handles disputes involving insurance coverage issues, including tenders, denials, bad faith claims and wrongful cancellations. In addition to his litigation practice, Mr. Handler regularly represents clients in transactional matters, including contract drafting and negotiation, and providing general advice to clients for their day-to-day legal needs. Through careful and considered counsel, Mr. Handler thinks outside the box helping to guide his clients toward cost savings and limiting their risks and exposure. Recently, Mr. Handler has been recognized as one of the few attorneys on Long Island with expertise in local, state and new federal legislation regulating the use of unmanned aerial vehicle systems for use in non-hobbyist and commercial applications. In this cutting-edge area of his practice, Mr. Handler assists clients such as contractors, surveyors, farmers, photographers and real estate industry professionals with navigating the certification, registration and operational guidelines imposed by Part 107 of the United States Code, as well as with flight compliance guidelines enacted by Towns and Villages across New York State. 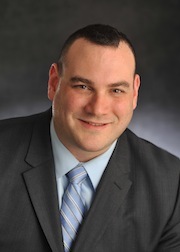 As a certified firearms safety instructor, Mr. Handler also enjoys assisting clients with firearms and concealed carry weapon licensing and permitting issues in Suffolk and Nassau Counties, and has been successful in expediting the approval of permit applications. Similarly, Mr. Handler helps clients in understanding and complying with the complex and always evolving firearms laws in the State, including the provisions of the New York State SAFE Act. Finally, Mr. Handler is a Judge Advocate assigned to the 7th Legal Support Detachment, 88th Brigade, New York Army Guard. In addition to his service as a JAG, Mr. Handler is also a staff officer in charge of recruitment and retention. Mr. Handler presently holds the rank of Captain, and is honored to assist active duty, reserve, retired and veteran soldiers, sailors, airmen and Marines with all of their legal needs.